Is he feeling a little jealous right now? Indeed, Jason Garrett was nothing but happy for Bryant getting another shot in the NFC. ​​Obviously, we wouldn't expect Garrett to say anything else, as he is merely a puppet being strung on a marionette by Jerry Jones. Now, after being cut by Dallas, it looks like Bryant will have the last laugh, as he is going to arguably the best team in the NFL while the Cowboys are ​sputtering out of control. What's the best part of all of this though? 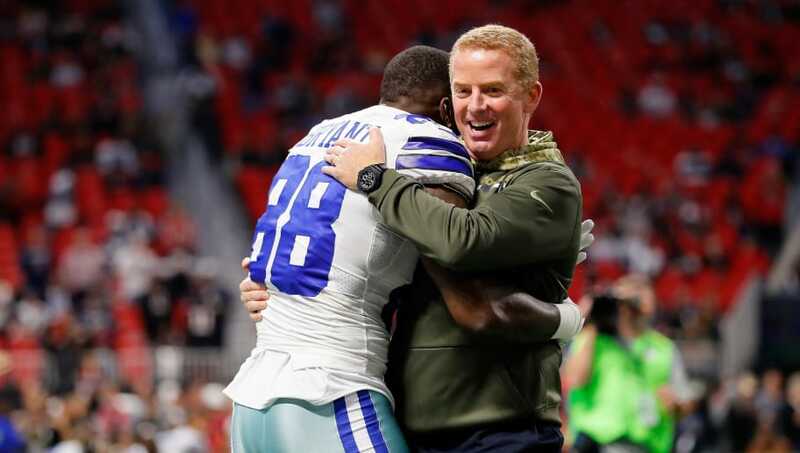 If the #Saints complete a contract with former #Cowboys WR Dez Bryant, then Bryant could play against his beloved former team at JerryWorld on Nov. 29. This meeting is also going to take place on Thursday night, so the entire country will be able to tune into this Bryant grudge game. It's been a long road for Bryant, but the three time Pro Bowler has finally found his new home. Who Dat.